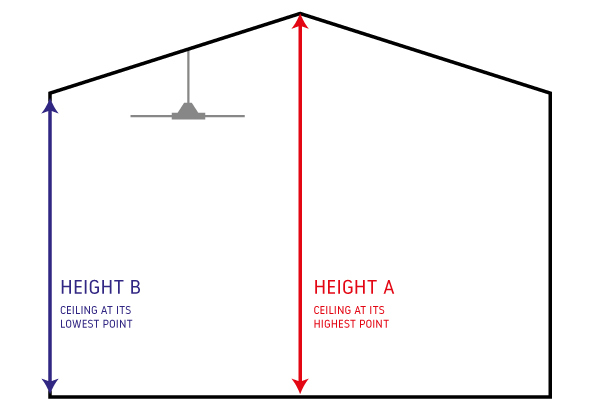 If you wish to install a ceiling fan on an angled ceiling you will first need to calculate the angle of your ceiling. This is a relatively easy task, you will need a tape measure and ladder so that you can measure the ceiling at its lowest and highest point. 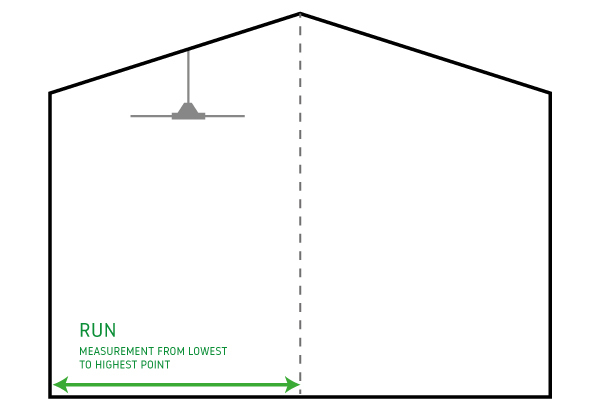 Once you have all of the required measurements (see diagrams below) you will be able to input your numbers and our website will determine your ceiling angle. Once you have determined the angle of the ceiling you can then browse our store for all fans that are suitable based on your specific angle.